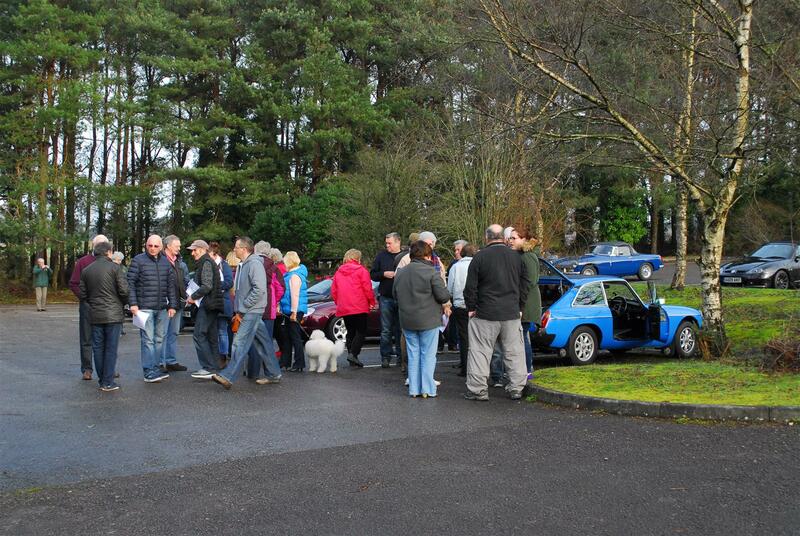 42 vehicles assembled at the Avon Heath Country Park for the start of the 2016 Winter Road Run. The weather was a little on the cool side but quite a few members used the café facilities for coffee and snacks. We set off, following the prepared route of 44 miles, which included a coffee stop at the Cranborne Garden Centre for those who still had space. While there the sun arrived and brightened up the day for us. The route passed through some typically lovely winter scenery before ending at The Cartwheel Inn at Whitsbury for our pre-arranged lunch. This is a traditional village pub offering superb food, very helpful staff and a really good atmosphere. Around 80 members and guests enjoyed their lunch and on completion made their own way home, some of us stopping off at Cranborne for an afternoon cup of tea. Our thanks go to Dave Bailey and George Parrott for organising the day for us and we now look forward to the Spring Run.